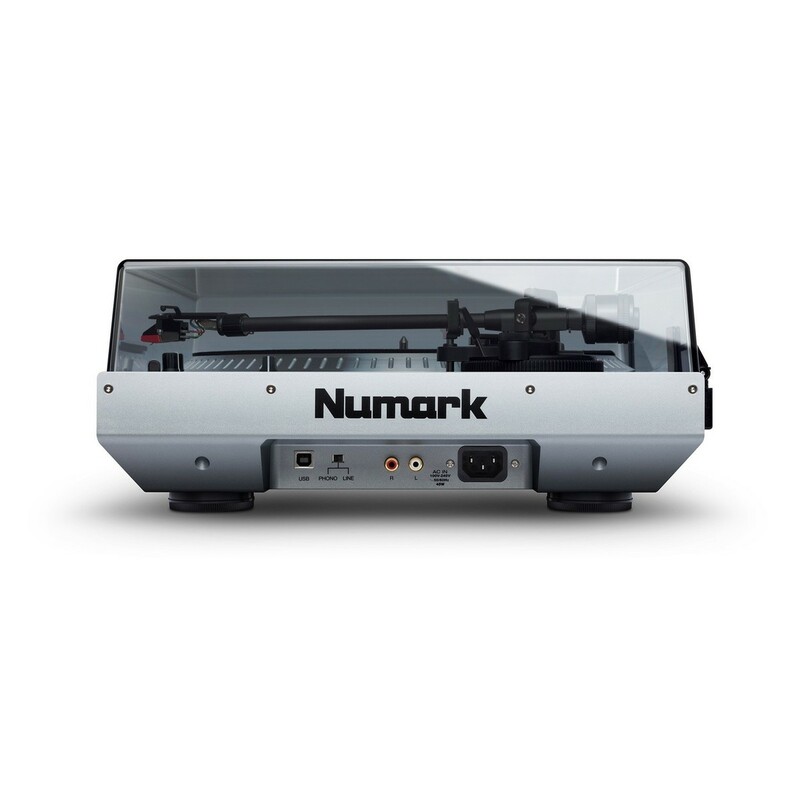 The Numark NTX1000 is a professional-grade, high-torque, direct-drive turntable that features an S-shaped tonearm for optimal tracking. The Numark NTX100 Direct-Drive Turntable boasts a full-size platter and a direct-drive motor with high-torque for added performance value. The NTX1000 Turntable is ideal for intermediate and professional DJs. The S-shaped tonearm is not only great for tracking but you can also adjust the height of the arm itself. Another unique feature is the start/stop control which can be adjusted to suit your needs. 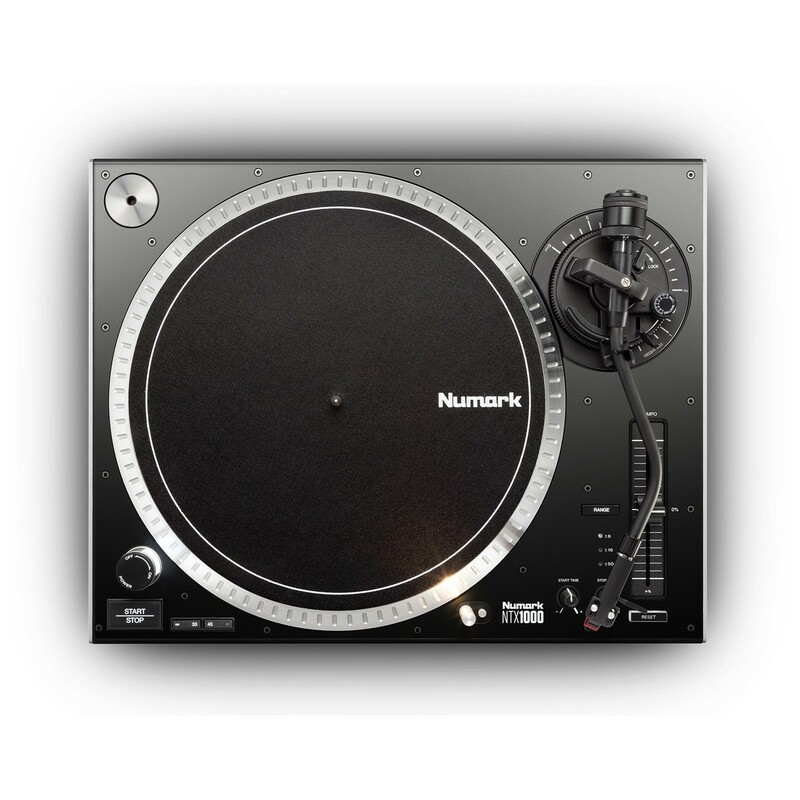 The Numark NTX1000 Turntable's design features special isolation that is designed to minimise feedback and vibrations, providing added stability, even in the most demanding of environments. The NTX1000 features a high-torque, direct-drive motor designed to give you the best possible performance when it comes to scratching and mixing. The exceptional start –up torque measures at 4kg, ideal for mixing applications allowing you to set the record playing as soon as you remove your hand. The S-shaped tonearm is included for optimal stability and tracking, allowing you to adjust the height to suit your own requirements. 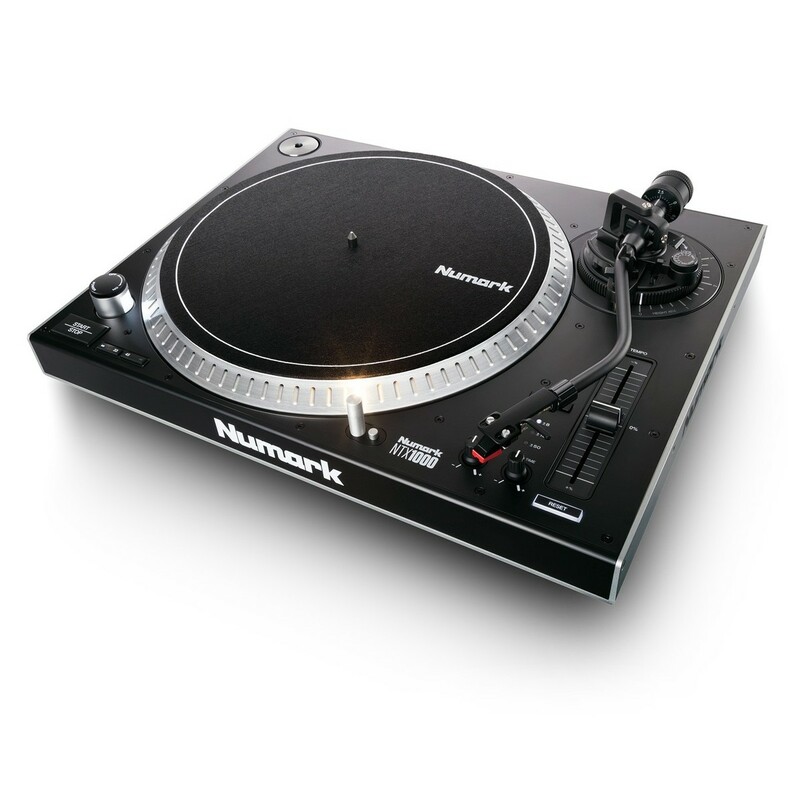 The full-size platter allows you to play every form of vinyl record, from 8-inch to 12-inch records. This robust direct-drive turntable not only boasts an S-shaped tonearm for accurate tracking but also includes damped cueing and anti-skate control. One of the most unique features of the NTX1000 Direct-Drive Turntable is the adjustable start and stop control. The start/stop control features their own dedicated knobs for adjusting the time ramping of the button. It allows you to customise the way the control reacts. The variable pitch fader features a wide range of ± 8, 16, and 50 allowing you to mix virtually any tempo together. The pitch fader also includes a dedicated reset button which will automatically set the fader back to its factory position. There is also an adjustable counterweight for exceptional tonearm balance. The sleek yet robust design of the NTX1000 makes it ideal for prolonged use on the road. The roadworthy construction is suited to even the most demanding of environments, thanks to its special isolation design. This specialised design concept minimises any feedback and external vibrations; something highly likely in nightclubs and other loud environments. It also features a standard target light for working on low-light situations, and comes complete with a 45 RPM adapter. 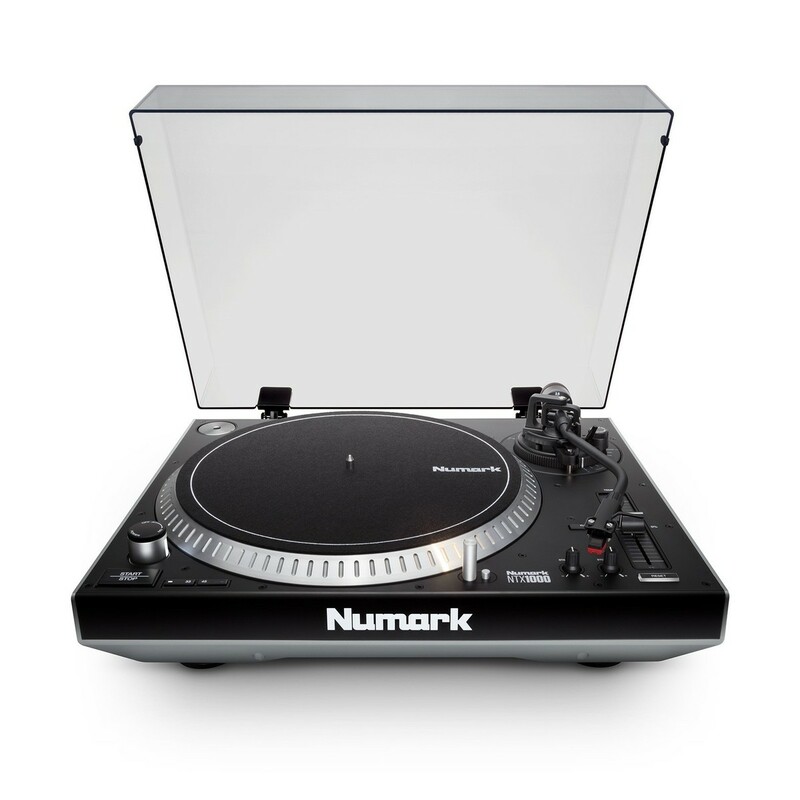 For more information on the Numark NTX1000 Direct-Drive Turntable, please refer to the PDF above.